Last month I bought a refurbished Samsung Galaxy S3 from Nomorerack (now Choxi) that I thought I could use with Virgin Mobile to upgrade my phone, but unfortunately for me, Virgin Mobile doesn’t allow their customers to buy unlocked phones as upgrades. If you want to upgrade your phone, you have to buy a Virgin Mobile phone or buy it through them. 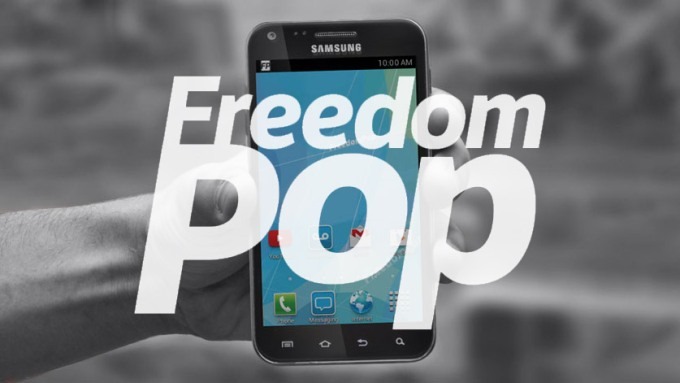 My new phone is with a company that I’ve never heard of called FreedomPop. I signed up with my debit card as my payment card and everything was fine until the bank decided that my debit card had been compromised and blocked my card and issued me a new one. When my new debit card arrived, I tried changing it on the FreedomPop website so I could be charged for the next month, but unfortunately, it wouldn’t change. I used my phone to try to change it and it didn’t work, so then I went to my Nook HD+ tablet and it didn’t work, so then I went to my computer and again it did not work. I Googled the issue and found nothing that would help me. Over the last few weeks I’ve been desperately looking for a resolution, I’ve even called them… TWICE! I called them when my account had 7 days left, and they told me they would contact me by email in 48 hours to let me know that it worked, but instead the email I received was a questionnaire on how they did. Yeah, that didn’t work for me, so I called them again and I gave them the ticket number and told them what happened and begged for help since I had 5 days left. They told me to call the bank because it must be my card and I told them that it can’t be because I’ve used my credit card and I’ve also used my PayPal debit card, and neither of them worked. So the person on the other end put me on hold and came back and said that this is an issue on their end because more customers have had to deal with this. Damn Skippy it’s a issue on your end! 24 hours passed and not an email and not a phone call. I decided to just give them another 24 hours, but still nothing. Today, I checked my account on my phone and it said I had 3 days left, so I opened up Firefox and went to the billing page and added my credit card number, not my debit card number, and it FINALLY worked! YES! So I immediately added $30 to my account. You know in the movies when the bomb is about to go off and the timer is going and it is 1 minute, then 30 seconds, then 20, then 15, then 10, then 5, then you start counting down 5, 4, 3, 2 and then they cut the correct wire just before it goes to 0 and the bomb doesn’t go off? I feel like that just happened, but I had 3 days left rather than 3 seconds. The thing about FreedomPop is, if they couldn’t fix this issue, all I had to do was call them and tell them to just put me on their free plan until they could fix it. I mean, it’s not like I really need to pay for my account since I rarely call or text anyone, and I hardly ever use the 4G LTE or even 3G. I’m basically always on the WiFi with this at home. So really, it doesn’t matter, but I just like having the peace of mind knowing that I can have unlimited phone calls and texting just in case I ever come out of my shell and decide that I can’t shut the f up and have to call everyone and their mother. You know, just in case. Anyway, if you are having an issue like this with FreedomPop, try a new browser and try a new card, if that doesn’t work then call them and keep calling them until they fix it. If they can’t fix it, then just go to their free plan.